AGW Skeptic Rep. Jim Bridenstine NASA Administrator confirmation hearing begins today. | Watts Up With That? Rep. Jim Bridenstine (R-OK) has been nominated to be the new NASA Administrator by President Trump. His confirmation hearing starts today… And the greenies are having conniption fits! Before Rep. Jim Bridenstine was nominated to lead NASA, he already had unorthodox ideas about what it should do. In 2016, as one of Oklahoma’s congressmen, he proposed the American Space Renaissance Act, which he called a “pioneering doctrine” that would refocus NASA’s mission. The space agency would concentrate on human spaceflight and “permanently secure the United States of America as the preeminent spacefaring nation.” Bridenstine’s vision would eliminate two of NASA’s current stated missions — to pursue aeronautical and space activities for peaceful and scientific purposes, and to expand knowledge of Earth and its atmosphere. (Bridenstine has said that there’s no credible evidence that CO2 affects the global climate.) In their place, his plan would spread human influence throughout the solar system and ensure the U.S. shows up first on alien worlds — and gets them ready for use by humans. On Wednesday, he’s likely to face tough questions from senators wondering if a 42-year-old former Navy pilot and climate skeptic with an enthusiasm for space but no technical background or formal connection to NASA is really the right man for the job. Well, James Webb, namesake of the James Webb Telescope and NASA’s third Administrator had an oddly similar background. Webb spent the next 25 years mostly as a government bureaucrat in various agencies before President Kennedy nominated him to be NASA’s first Administrator in 1961. Webb led NASA from 1961-1968 when NASA’s primary mission was manned spaceflight, with the objective of a manned Moon landing before 1970. NASA accomplished this. Bridenstine was born in Ann Arbor, Michigan and is a Jenks High School graduate, a graduate of Rice University with majors in Economics, Psychology, and Business, and has an MBA from Cornell University. He is a former executive director of the Tulsa Air and Space Museum & Planetarium and is a Naval Aviator in the U.S. Navy Reservewhere he flies the E-2C Hawkeye in Central and South America in support of the War on Drugs. [non-primary source needed] Bridenstine is an Eagle Scout and received several military awards, including the Air Medal. As of 2016, Bridenstine is a State of Oklahoma record holder in the 200M long course freestyle relay. In 2012, Bridenstine, with Tea Party backing, unseated a 5-term incumbent Republican congressman and has represented Oklahoma’s 1st Congressional District since January 2013. So, Bridenstine is every bit as qualified to run NASA as Webb was. On May 25, 1961, President John F. Kennedy announced to a special joint session of Congress the dramatic and ambitious goal of sending an American to the Moon and returning him safely to Earth by the end of that decade. President Kennedy’s confidence that this Cold War goal could be accomplished rested on the post-Sputnik decision by President Dwight D. Eisenhower to form the National Aeronautics and Space Administration and, in January 1960, to direct NASA to begin the development of what became the Saturn V rocket. This release of a collection of essays on Space Policy and the Constitutioncommemorates President Kennedy’s decisive challenge 50 years ago to a generation of young Americans and the remarkable success of those young Americans in meeting that challenge. Born in Santa Rita, New Mexico, Schmitt grew up in nearby Silver City, and he is a graduate of the Western High School (class of 1953). He received a B.S. degree in geology from the California Institute of Technology in 1957 and then spent a year studying geology at the University of Oslo in Norway. He received a Ph.D. in geology from Harvard University in 1964, based on his geological field studies in Norway. Before joining NASA as a member of the first group of scientist-astronauts in June 1965, he worked at the U.S. Geological Survey’s Astrogeology Center at Flagstaff, Arizona, developing geological field techniques that would be used by the Apollo crews. Following his selection, Schmitt spent his first year at Air ForceUPT learning to become a jet pilot. Upon his return to the astronaut corps in Houston, he played a key role in training Apollo crews to be geologic observers when they were in lunar orbit and competent geologic field workers when they were on the lunar surface. After each of the landing missions, he participated in the examination and evaluation of the returned lunar samples and helped the crews with the scientific aspects of their mission reports. Schmitt spent considerable time becoming proficient in the CSM and LM systems. In March 1970 he became the first of the scientist-astronauts to be assigned to space flight, joining Richard F. Gordon, Jr. (Commander) and Vance Brand (Command Module Pilot) on the Apollo 15 backup crew. The flight rotation put these three in line to fly as prime crew on the third following mission, Apollo 18. When Apollo flights 18 and 19 were cancelled in September 1970, the community of lunar geologists supporting Apollo felt so strongly about the need to land a professional geologist on the Moon, that they pressured NASA to reassign Schmitt to a remaining flight. As a result, Schmitt was assigned in August 1971 to fly on the last mission, Apollo 17, replacing Joe Engle as Lunar Module Pilot. Schmitt landed on the Moon with commander Gene Cernan in December 1972. While on the Moon’s surface, Schmitt — the only geologist in the astronaut corps — collected the rock sample designated Troctolite 76535, which has been called “without doubt the most interesting sample returned from the Moon”. Among other distinctions, it is the central piece of evidence suggesting that the Moon once possessed an active magnetic field. As he returned to the Lunar Module before Cernan, Schmitt is the next-to-last person to have walked on the Moon’s surface. After the completion of Apollo 17, Schmitt played an active role in documenting the Apollo geologic results and also took on the task of organizing NASA’s Energy Program Office. Clearly, someone like Jack Schmitt has the qualifications that both James Webb and Jim Bridenstine were/are lacking in. So, obviously he would be warmly embraced as NASA Administrator. The facts that he would refocus NASA on space operations and and is an AGW skeptic, certainly wouldn’t trump his technical qualifications in the eyes of the greenies… Right? MIAMI — More than 40 Florida scientists oppose President Donald Trump’s nominee to lead NASA, saying Oklahoma Rep. Jim Bridenstine is unqualified for the job and that they are troubled by his denial of climate change. Are “Florida scientists” those who specialize in Florida? Or just scientists who live in Florida? Do these “journalists” and Florida Senators strive for ignorance? It sure seems that way. The White House announced President Donald Trump’s preferred pick to head NASA on Friday night, but the choice is already proving unpopular, with Florida senators criticizing Trump’s choice. 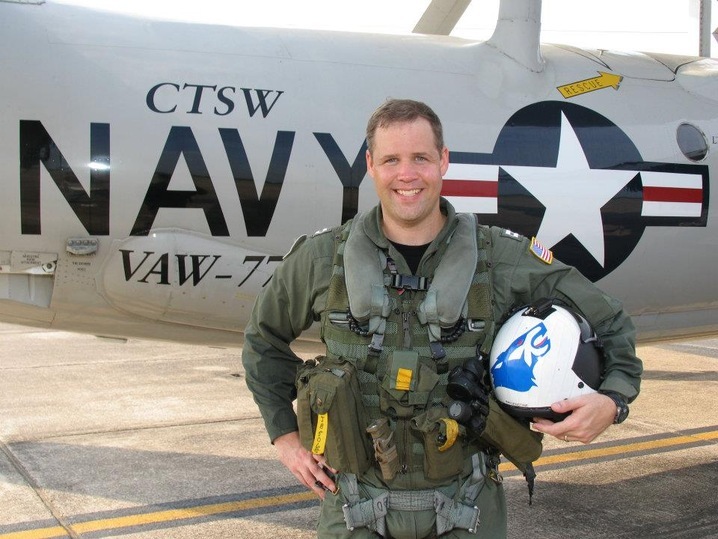 Bridenstine did serve as a pilot in the U.S. Navy Reserve for nine years and is a former executive director of the Tulsa Air and Space Museum and Planetarium between December 2008 and August 2010. Hello? Ms. Lotto, Senators Nelson & Rubio… Can you say, “James Webb”? Rep. Jim Bridenstine (R-Okla.), the president’s nominee for NASA administrator, is facing criticism regarding his qualifications for the job. These concerns seem to be rooted in a clear preference instead for a nominee possessing skills or experience as a scientist, engineer or technologist. Perhaps most critically, some have dismissed Bridenstine’s experience as inadequate given that he is an elected politician. But if history is any guide, technical skills are not necessarily requisites for success leading this storied agency. While several previous NASA leaders were credentialed or experienced in such disciplines, this was not a clear determinant for success. And contrary to the critical view, Bridenstine arguably has the best qualifications for success given the challenges ahead. Of the dozen previous NASA administrators, perhaps the most extraordinary and historically noteworthy of them served during the Apollo era. James Webb possessed a diverse base of experience, but none of the technical skills extolled in some of the current dialogue. Webb earned an undergraduate degree in Education, served in the Marine Corps, earned a law degree and served as a congressional staffer before a brief time in industry. Webb’s contribution was not his scientific or engineering know how. But he did have a wide breath of experience in finance, business management, the art of negotiating outcomes and making decisions in the very emotionally charged public policy arena. In short, Webb was, by any standard, a politician and an awfully good one. He successfully marshaled an exceptional team of engineers and scientists, none of which suffered low self-esteem. Choosing among a multitude of diametrically opposite “right answers” advanced by those with technical expertise, it was up to Webb to achieve consensus among them to forge a path forward. He also needed to secure the president’s support for a strategy, devise management plans to achieve the outcomes and somehow convince Congress to appropriate funds to finance the endeavor. To do so required exceptional leadership, management and political skills drawn from an array of experiences and professional training to yield the heralded achievements of the Mercury, Gemini and Apollo programs. He was a most remarkable public servant. But to listen to the critics today, it seems some might consider Webb to be a marginally qualified nominee. It is impossible to tell if Jim Bridenstine will have the kind of success that Webb achieved. But in pursuit of this parallel prospect, it’s altogether possible he has exactly the skills and experience to position the agency to make that possible. His policy views, voting record and insights on how he may choose to use skills honed as a politician and elsewhere will surely be revealed in the upcoming confirmation hearing. But if past is prologue, he’s qualified to clear the hurdles for Senate confirmation. And I’m willing to bet he’ll prove to be a fine choice as the 13th NASA administrator. Sean O’Keefe served as the 10th NASA administrator in the George W. Bush administration, 2001-2005, and is presently a professor of public administration at the Syracuse University Maxwell School. NASA is poised to ask the private sector for proposals to develop a lunar lander that could take experiments and cargo to the moon’s surface, with flights starting as early as 2018. Wow! I mentioned Elon Musk without saying anything negative about Tesla! “At this critical time, we can ill afford to allow this vital agency be subject to political whims. I totally agree. There must not be a continuation of the last 30 years of NASA being subject to political whims. President Trump hits a Home Run with his selection of Jim Bridenstine, and as a Nation, we’ll win the space ballgame hands down! The quantity of democrat naysayers is in direct proportion to the wisdom of our President!!! tomwys1. I agree with your assessment and with the need to “…win the space ballgame…”. China is challenging us everywhere (with our money!) and seeks to dominate in space for prestige and, no doubt, military reasons. With our GPS, surveillance, missile launch detection, and space research the need to lead in this area should be obvious. Count President Trump’s nomination as another win. President Trump picks the right people to accomplish what needs to be done. A good number of our ‘good times’ agencies, NASA, should be mothballed until we can get our budget in order so that we are not spending ‘money’ we don’t have in support of ridiculous projects. Supposing we can significantly alter global climate change is unbelievably ridiculous. I felt a great disturbance in the Green Side of the Force, as if millions of voices suddenly cried out in terror. Alas, they haven’t been silenced yet. Perhaps you think you’re being treated unfairly? You’re a half-witted, scruffy looking nerf herder. NASA has become something of a porkbarrel agency, funding endeavors unrelated or only peripherially related to space and aeronautics. Bridenstein seems to be interested in restoring the original purpose. Nasa, like all government agencies suffers from the metastases of bureaucracy–time to cut the bad parts out. “Earlier this year, Musk announced that SpaceX would fly two private citizens in a trip around the moon by late next year. And he hinted at the moon base during a conference in July. Maybe he can even save Musk from bankruptcy, in which he undoubtedly steers with Tesla. A song for Musk: Whenever you think it’s no longer possible here on earth, somewhere comes a light ago. Musk, the cat with the 7 lives. You assume that Tesla is intended to make a profit. Maybe it’s just a grand R&D effort that is partially self-financing. A Navy pilot? What’s not to like? And he is a swimmer. What’s not to like? From a78 year old masters swimmer. No scientific or engineering background? So according to the gate keepers of knowledge, simple arithmetic is all the knowledge you need to pilot an E-C2 or F-18, yeeah, just well trained chimps that push the right buttons in the correct order (eyes rolling). And I love how wikipedia is chalk full or uncredible sources and links that go nowhere, yet they need 3rd party verification that Bridenstine has piloted the EC-2 in South America. The “funny” thing is that Wikipedia fails to even mention that he flew E-2C combat missions in Iraq and Afghanistan and then transitioned to the F/A-18 and trained for air combat and strike missions, before he flew E-2C missions in Central & South America. Nor does it mentioned that he transferred to the Air National Guard to fly MC-12 Liberty surveillance aircraft. The MC-12 is basically a Beechcraft Super Air King that has been modified as a special operations (“M” designation) surveillance aircraft. Bridenstine began his Naval aviation career flying the E-2C Hawkeye off the USS Abraham Lincoln aircraft carrier. It was there that he flew combat missions in Iraq and Afghanistan and gathered most of his 1,900 flight hours and 333 carrier-arrested landings. While on active duty, he transitioned to the F-18 Hornet and flew at the Naval Strike and Air Warfare Center, the parent command to TOPGUN. Bridenstine was promoted to the rank of Lieutenant Commander in the U.S. Navy Reserve in 2012 while flying missions in Central and South America in support of America’s war on drugs. Most recently he transitioned to the 137th Air Refueling Wing of the Oklahoma Air National Guard, where he will fly with an MC-12 squadron stationed at Will Rogers World Airport in Oklahoma City. Well the Democrats are aghast at Bridenstine because he has openly questions their Climate religion. Hopefully, the new NASA Administrator will downsize GISS and redirect its studies and staff expertise back to space physics. Yes, I was going to mention that one too. If it’s the “other side’s” views, well, that’s just politics. If it’s your *own* views, it’s nothing less than saving the world and life as we know it! Outright heroism! Far above any petty old “politics”! Hmmm… Marine Corp pilot, Oklahoma Congressman, supported by Taxed Enough Already (TEA) Party Patriots and other conservatives, negative perspective on AGW proclamations of impending disasters, thinks NASA ‘climate science’ functions should be discontinued or merged into NOAA, thinks NASA should be focused on national aeronautics and space programs administration….. I really like this guys qualifications and focus! On the whole “return to the Moon” thing, NASA is quietly sitting on a raft of data and research that details how lethal to humans the space environment is beyond LEO. LEO is below the VanAllen Radiation belts and thus below them is where Earth’s magnetic shield protects us at the surface and astronauts in LEO at the ISS. Passing through the Van Allen Belts is a short term exposure, but then beyond that the much higher and more dangerous GCR flux kicks-in to damage cellular DNA of astronauts. The moon is doable for only Apollo-syle short duration missions. Mars, at 800 days in interplanetary space, … forget about it for manned travel. “Orion blazed into the morning sky at 7:05 a.m. EST [note: Dec 4, 2014], lifting off from Space Launch Complex 37 at Cape Canaveral Air Force Station in Florida on a United Launch Alliance Delta IV Heavy rocket. The Orion crew module splashed down approximately 4.5 hours later in the Pacific Ocean, 600 miles southwest of San Diego. And it is getting worse for the next few years as the Sun’s magnetic activity and solar winds diminish to SC24-SC25 crossover. 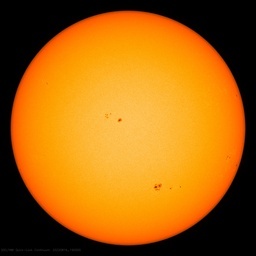 GCR flux and energy levels are increasing of course as we see in the neutron counts rising as they do at every solar minimum. The late 60’s-early 70’s Apollo program, where astronauts ventured beyond LEO, coincided with the solar maximum years of SC 20. Then we’ve had folks post comments here at WUWT that private industry is working on “light-weight radiation shield” for astronauts. That’s an oxymoron. Radiation shielding requires shear mass. Some Types of atoms are better neutron absorbers, but GCRs are mostly relativistic speed protons. Good luck shielding that without generating a large, high flux magnetic field around the spaceship. And as for absorbing GCR induced neutrons, Gold is one of the best for all types of radiation, but of course quite heavy and very expensive. Boron is also a good neutron absorber but very expensive and does little to nothing for gamma, alpha, beta radiations. Simple hydrogen works quite well to, but a lot is needed to be effective. Polyethylene has been studied as it has a lot of hydrogen in it. NASA space radiation engineers are working on the problem (see web link below). The first paragraph is an eyeopener. What they won’t say is that an interplanetary human journey radiation problem is outright unmanageable and unresolvable for the 800 days a journey to Mars and back would take. It is unresolvable until we can cost-effectively put a massively shielded space vehicle in orbit. Then that massively shielded crew vehicle would require a huge amount of fuel to make the accelerations to leave Earth’s orbit, head to Mars, decelerate to obtain a Martian orbit, then another burn to leave Martian orbit, and then another burn to enter Earth orbit. The only point of efficiency is on this Earth orbital insertion, the spacecraft could jettison the massive radiation shielding to lessen the thruster burn impulse needed for this final insertion. Bottom Line: going to Mars is a sure death sentence by radiation poisoning for any human astronaut with the foreseeable technology even with some improvements in shielding tech. “light-weight radiation shield” for astronauts. That’s an oxymoron… Polyethylene has been studied as it has a lot of hydrogen in it. Thanks for an informative comment, but be careful about oxymorons. Been following Orion for a few years. You are correct, as is, Mars is just not going to happen for meatbags. We can send a lot of freeze dried meat that can be combined with water. AI robots will explore the planets and stars as we sit happily, enjoying our beers, and watching the videos safely on Earth. The senior engineering-science team managers with radiation issue oversight at Goddard-Maryland have been briefed on the human radiation hazards for a Mars mission. Mars and back is basically a No-Go for humans for any foreseeable technology. It’s a suicide mission. The reason you will not hear NASA acknowledge this is political. A lot of people are employed in the Humans to Mars mission concepts and technology-engineering concepts. A lot of contractors with contracts are working and employing people on aspects of a manned mission to Mars. Everyone believes it can happen. Yes, we can build the rockets, stock the space vehicles with food and fuel. Develop the insertion and Mars lander technology. We can do those things. We can’t fix the human DNA problem though. So except for that frail pink human bodies that will get literally fried by long term radiation exposure on the 800 day trip outside Earth’s magnetic shield, we can send a sack of meat to Mars and back. Chronic radiation poisoning though is a horrible death: Leukemia, lymphoma, heart failure, dementia/psychosis, acute bloody diarrhea, coughing blood, peeing blood. But NASA’s Mission to Mars for Humans is jobs program. Like much of the US government, simply a jobs program. Astronauts, and equipment, modern craft for a manned mission would be seriously risky. When humans conducted manned missions to explore the earth and oceans in centuries past, it was seriously risky, many left and never returned. We can have people among the people who explore or we can watch others go and some come back. Some will choose to stay in new worlds they find. Some will perish, but it will happen. When Columbus discovered America, when the USA won independence from England, no one then knew that the USA would save help England and much of the world from Germany and Japan and Italy in World Wars. Settlements far from Earth can become allies or enemies and/or both. Bury your base under a few feet of lunar soil and the radiation risks go away. And there are lava tunnels to put inflatable habitats inside of. You first into the lava tube to set up the Hab. Those lunar tubes have been empty for 3.5 billion years. Stable? Ready to collapse with the slightest push? Would you bet your life on it when no rescue is possible? Would you bet your life on it when no rescue is possible? Explorers have always bet their life when no rescue was possible. That is what humans do. A lunar tube with an inflatable inside would be much more stable. nuclear spacecraft will solve these problems. The amount of fuel, the time of flight, the total radiation exposure will all be solved with nuclear powered spacecraft. It only has not happened yet because we have not been working on it enough. Radiation shielding requires shear mass. Water is good and they need it anyway. Water is still mass. And mass requires a lot of lift to LEO. Then that huge mass would have to be accelerated to Mars, decelerated for Mars insertion, and accelerated again for Earth return. That’s a humongous lot of fuel. The fuel is not huge if it is nuclear fuel. Agree radiation is a huge problem, but not insurmountable. Also that at present manned mission to Mars preparation is a jobs program to boost NASA’s budget. But there are foreseeable future work-arounds. Need for exterior shielding can be reduced by wearing suits of boron or other proton capturing material inside the craft and sleeping in lead coffins. We establish a base on the Moon where we can mine water ice. We build several crew habitats that will serve as transfer vehicles from Earth orbit to Mars orbit. We encase these Mars Transfer Vehicles in a meter-thick coating of water ice to serve as radiation protection. We obtain water ice from the Moon to use as rocket propellants. We use the propellants to send these Mars Transfer Vehicles into a permanent orbit that comes close to both the Earth and Mars. These Mars Tranfer Vehicles are Buzz Aldrin’s “Cycling space stations”. They cycle back and forth between the Earth and Mars. The more Transfer Vehicles you put into these orbits the more frequently they will pass by the Earth. The Mars Transfer Vehicles never land on the Earth or Mars. Instead we use shuttle craft at both Earth and Mars to match orbits with the Transfer Vehicles to load and unload them when they get close to Earth or Mars. We establish an underground shelter on Mars’ moon Phobos. This way astronauts will be protected on the long journey to Mars and back, and will be protected once they reach Phobos. We need to start out with a base on the Moon, so we can mine the water ice that fuels all this activity, which is just what Bridenstine is proposing to do. I think it was Elon Musk (although I’m not positive) that said recently that he would like to see the Moon colonized. But I think that would present some big problems like Lunar dust which gets on and into everything. I don’t see lots of people living on the Moon. Any Moon base would have to do something about the Lunar dust. Pave it over, or set up in an underground tunnel. Something. We can do these things if we will just use our heads a little bit. NASA is not known for doing things the easy, logical way, but Bridenstine is not a bureaucrat so maybe he can overcome the bureacratic inertia within NASA. Musk and all the other private launchers will love Bridenstine because he promotes private enterprise in space activities. Just a thought. Since space is cold and superconductors like the cold would a magnetic shield based on super conductors be practical? I realise those pesky little neutrons might still slip through though. There are people working on this kind of radiation shielding but there’s nothing practical so far. Exotic materials also hold some promise of serving as radiation protection. As a non scientist, engineer or anything else; wouldn’t it be sensible to assemble any manned Mars spaceship, in space? The problem of weight for radiation shielding then becomes less of an issue. Wasn’t something something similar done for the space station? There may be other engineering benefits for shear mass, but sheer mass makes for better shields. Boy, are they. And I must say, for sheer karma’s sake, I’m trying not to enjoy it so much. Except that they SO deserve their angst. From the standpoint of commercial space transportation, my field, Mr. Bridenstine is the best possible choice. He’s quite accomplished for his age, and the place could use some youth. Further – and I speak from first-hand knowledge – he has a very deep grasp of both the technical and economic aspects of space technology. They beat the revenue estimate (slightly) and came in way below the earnings estimate. Hear those Green Heads popping when they hear that a sensible person like Jim Bridenstine has been appointed to head NASA out of the Swamp. Some people here need to go and browse some space blogs and websites and the real story on radiation during a trip to Mars. Not too risky at all and anyway that risk is based on the LNT theory which has no experimental backing. joelobryan and Mark-Hkesinki are full of it. We need the same change of guard here in Oz for the CSIRO. So they can get back to their original charter of R & D instead of wasting time and our money on dishing out AGW propaganda. They wrote: Jim Bridenstine is unqualified for the job and that they are troubled by his denial of climate change. “He has no scientific training and little administrative experience and so on. We elected Trump because he does not know everything he needs to know but he knows how to fine the people who do know what is needed. Trump picked Jim Bridenstine because he will pick the people who do know what is needed. and because he knows man made CO2 has not caused and will not cause measurable climate change. No so called denier does deny climate change, we deny that man made CO2 caused it. Well, that may be just why SpaceX currently plans trips of 80-180 days to Mars. And : “Those lunar tubes have been empty for 3.5 billion years. Stable? You obviously know little of lava tubes. In general, the longer they last, the more stable they are. The majority of collapses in lava tubes happen with 2 weeks of emplacement. To give you an idea how stable most of the tubes surviving those first 2 weeks are; You may have heard of the Mt. St. Helens eruption? On Mt. St Helens is a lava tube system known as Ape Cave. The Park Rangers tell me that after the eruption nearly blew the mountain apart, the only damage visible in Ape Cave was a single fist sized rock dropped, they think, from ceiling to floor of the lava tube. In the first 2 weeks of its existence, a great number of eons ago, maybe. After spending all those eons on the slopes of shield volcanoes of Mars with earthquakes attendant to volcanoes, there have been all too many pushes more than “slight” to not qualify them as safe until we know otherwise. Lava tubes are *not* a foreign environment to some of us. I apologize for this post appearing twice. The first time I tried to post it, it just disappeared into the ether. I waited several hours to see if it would show up and it did not, so I posted it again. Instead of de-orbiting the International Space Station in ten years (which is the plan), NASA should take at least a few of the individual habitat modules that make up the space station and convert them into Mars Transfer Vehicles. And convert one or more into Lunar transfer vehicles. The space station modules are already in orbit, and can be refurbished in orbit. We add a meter-thick coating of water ice, obtained from the Moon, to the outside of the modules to make them radiation proof. We use rocket propellants obtained from the Moon to put these modules into a “permanent” cycling orbit between Earth and Mars. If we want artificial Earth gravity for the trips back and forth to Mars, and we do. then we take two of these space station modules and put each one on the end of a mile-long cable, and we rotate these modules around their common center at one revolution per minute, and this produces artificial gravity (centrifugal force) on each of the modules which is equivalent to the gravity on the Earth’s surface. No sense burning up perfectly serviceable space station modules. We should give them new life as Mars Transfer Vehicles. Please explain to me the chemistry of these supposed “propellants”……what will you use as the oxidizer? Doing this in less than a decade would be long shot. Reusing space station modules for a Mars program would definitely not fly with NASA if a regular NASA bureaucrat were running things. All NASA bureaucrats would see is an opportunity to create a whole new, multi-year NASA project by building these things down here on Earth. This is the kind of thinking Bridenstine will be going up against. Instead of focusing on space development, the NASA bureaucrats focus on building and extending the bureaucracy and initiating multi-year programs is their goal. It’s like when NASA was deciding which kind of space station they should build back about 1994. They had three design options: Option A, Option B, and Option C.
Options A and B consisted of space stations which required multiple space shuttle launches over many years to put everything in orbit just like the International Space Station. Option C consisted of attaching a 15ft-long habitat module to the bottom of the space shuttle’s orange External Tank. The space shuttle would have enough power to put both the External Tank and the attached habitat module into orbit and it would take only one launch, instead of the dozens of launches the other two designs required. Option C would require an additional space shuttle launch to put everything it needed into orbit (solar panels), for a total of two space shuttle launches. Option C’s habitat module (15 ft long and 27.5 feet in diameter) in combination with the empty External Tank (153 feet long and 27.5 feet in diameter) would make a space station with more volume than either of the other two designs. In other words Option C was the superior design in terms of time and money spent with Option C costing about $5 billion total, while the other two came out to $16 billion and $20 billion (the cost estimates for Options A and B were all over the place, and were low-balled to NASA, as the finished product cost about $100 billion). So, it’s a no-brainer as to which space station design we should use, but that’s not the way the NASA bureaucrats looked at it. They said to themselves, if we complete a space station in two launches of the space shuttle then how are we going to justify flying the space shuttle. So the NASA bureaucrats picked the space station design that took a decade to put in orbit, requiring dozens of space shuttle flights, because this extended the program for as long as possible which was their goal. The NASA bureaucrats couldn’t see that they could justify launching the shuttle even if they only needed to use two shuttle launches to put the entire space station in orbit, by pushing for a Moon/Mars development program that would have made good use of all those extra dozens of space shuttle launches. We should already have people on the Moon and Phobos. Alas, those NASA bureaucrats couldn’t see beyond their nose and their current space project. Think about it: If we could put a complete space station in orbit using two shuttle launches and costing $5 billion, then we could do the very same thing for a Moon/Mars development program. Two shuttle launches puts a Lunar Habitat module in orbit where it can be transferred to Lunar orbit. Another one could be landed on the Moon’s surface to serve as a Moonbase. Another could be put in orbit as a Mars Transfer Vehicle and another could be put in orbit to use as a habitat on Phobos. That’s about $25 billion spent on a basic complete Earth/Moon/Mars development program (not counting the propellants required in orbit, but that applies to any program of Moon/Mars development And would have required more shuttle launches, just what the NASA bureaucrats wanted). And it would use enough shuttle launches to keep the NASA bureaucrats from getting nervous. And this whole Earth/Moon?Mars development program would cost about one-fourth as much as the $100 billion Internation space Station cost. The International Space Station program was a huge setback for space development. It put us about 20 years behind where we should be now. Water ice is made up of hydrogen and oxygen. You separate the two and then burn them together, just like the space shuttle used to do. Water ice is handy for a lot of things: Radiation shielding, drinking water, breathable oxygen and propellants and oxidizers. A solar or nuclear powered mass launcher could launch the mined water ice into lunar orbit, where it could be picked up by transfer vehicles for all the uses listed in this thread. OK, I get it….there is no “rocket fuel” on the moon……you are using solar energy to produce it with electrolysis. You have a clue how much it costs to hurl 1 kilogram into a trans-lunar orbit? You don’t get much solar energy out of a 1-kilogram solar panel, not to mention the tanks, pipes and excavation equipment you need to mine the ice. I suppose it would depend on what was included in the costs. Should we figure in all the money we have spent on space development up to this time, or just the Moonbase development costs, or just the cost of the mass driver? Or, powered by a molten salt reactor or something similar, the space-craft accelerates at 32 ft/s^2 till halfway there and then decelerates. I’m having problems getting this to post. I’ll try again. Don’t know what it is about this thread that’s causing me trouble. It’s about time they put a non-scientist in charge. When in consideration of what President Obama’s NASA Administrator (Charles Bolden) stated as NASA’s “foremost” mission: Muslim outreach—the appointment of Bridenstine is a massive improvement. You initially remark that James Webb was the third NASA administrator, and then below the block quote refer to him as the first administrator. I had initially described him as the first administrator and then corrected it to third. I must have missed that reference when I was making the correction.